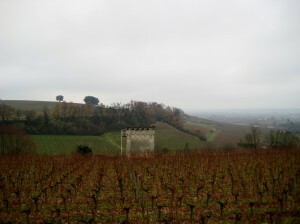 Chambolle-Musigny is located midway down the Côte de Nuits in Burgundy. The vineyards in Chambolle-Musigny are planted on steep slopes whit shallow soil composed of permeable mix of limestone and red clay. Limestone gives elegance and clay gives complexity to the wine. The mix of clay and limestone provides a perfect medium for the wines to express great balance. Red wines produced in Chambolle-Musigny are based on Pinot Noir grapes and are characterized by elegant red fruit flavors and complex spicy notes. They are considered as one of the most delicate and aromatic wines int he Côte d’Or, with a lovely and incomparable silky texture. 1. Musigny: 10 hectares of Pinot Noir grapes. 2. Bonnes Mares: 14 hectares of Pinot Noir grapes. © 2019 OM Nielsen vinimport. All Rights Reserved.